Ronaldo first rose unchallenged to score from Ricardo Quaresma's left-flank cross in the second minute of time added on. Two minutes later, Ronaldo powered a header low into the right corner of the goal from Quaresma's free kick on the right. The winning goal was confirmed 90 seconds later after a video review for a possible offside. 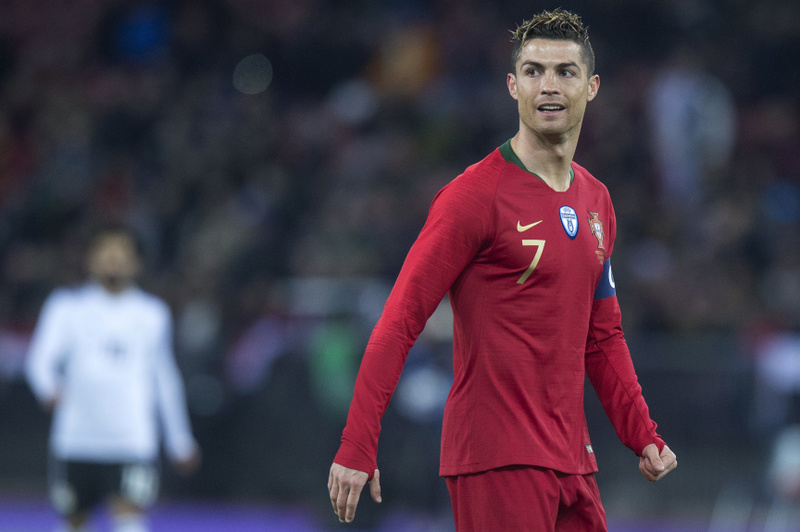 Ronaldo came closest to scoring in the first half after Portugal was awarded a free kick when goalkeeper Mohamed El-Shenawy picked up a backpass. His shot from near the penalty spot beat the defensive wall then was blocked by the leg of Abdallah El Said standing in the middle of the goal. Salah struck with a classy goal early in the second half, collecting the ball 20 meters (yards) from the goal before spreading a pass to the left side of the area. As Portugal defenders drifted toward the goal, the Liverpool forward held his position in an increasing amount of space and met a return pass with a first-time, left-footed shot low into the left corner of the net. Both teams stay in Switzerland for their next games against teams who did not qualify for the World Cup. Portugal plays the Netherlands on Monday in Geneva and Egypt stays in Zurich to face Greece on Tuesday.